As Sash Window Experts, we firmly believe that the replacement of original sash windows should only be considered as a last resort. 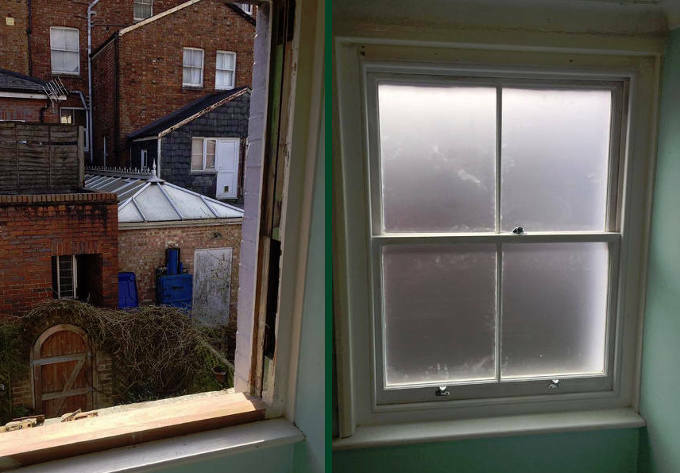 Whether the old sash windows in your home are draughty, damaged, rotten, hard to open or close, it is not only possible but also highly desirable to restore them back to their former glory. In fact, it’s what we’ve been doing professionally for the last 25 years. Call us today on 01293 762 370 for a free window survey and quotation. When you’re faced with rattly old period windows that have seen better days, it may well be tempting to replace your traditional timber sashes with modern uPVC windows. Providing excellent thermal efficiency at affordable prices along with the prospect of low maintenance, they may seem like an easy solution to your window problems. But did you know that modern uPVC windows have a number of obvious disadvantages? First, the lifespan of uPVC windows is much shorter than that of well-maintained wooden sash windows. Once they show signs of aging, is it impossible to renovate them back to mint condition – unlike wooden sashes that can be fully restored and brought back to life. Even if you choose the latest uPVC window designs, they can never match the character and the feel of the real thing. In terms of design, many home owners would consider it sacrilege to fit new plastic windows into a period property, and there are many Conservation Areas where this is expressly prohibited. Finally, the jarring effect of seeing uPVC windows in a period property can even lead to the property being devalued, since people simply prefer to retain the original features of their period home. Thankfully, there’s no need at all to throw the proverbial baby out with the bathwater. At Sash Window Experts, we have developed a restoration process to repair, renovate and preserve practically any original sash window. In this way, we are giving period property owners a viable alternative to replacing damaged, rotten or otherwise unsatisfactory sash windows. Whatever the problem may be with your timber sashes, they can be repaired and refurbished back to their pristine condition, able to outlast their uPVC counterparts by many decades with regular maintenance. What’s more, repairing original sash windows will help you to sympathetically maintain an important period feature of your home. carry out comprehensive sash window renovations, including cord and bead renewal, timber repairs and expert draught sealing. It is very rarely the case that original sash windows are beyond the point of repair. However, should it become necessary, our expert team of joiners will offer sash window replacements. With double glazing technology advancing all the time, we provide new double glazed hard or soft wood sashes that use the Warm Edge Technology of modern sealed units while at the same time replicating the original moulding and horn detail of your original windows. We can produce and install a pair of double glazed sashes into the existing period box frame, and reinstate the sashes if they’ve been replaced by uPVC. If the original windows have been completely removed and replaced with modern uPVC windows, we can supply and fit a complete new box frame sash windows, either single or double glazed, with traditional weights and pulleys. 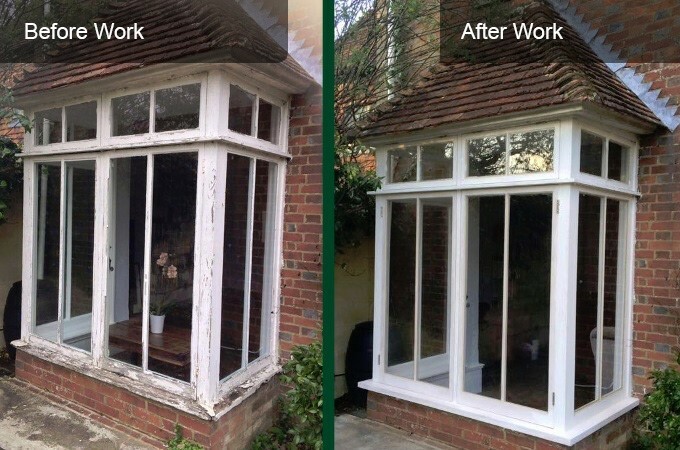 This service is perfect for clients whose windows have either been deemed beyond reasonable repair, or where uPVC window replacements are in situ and the client wishes to reinstate the period look. All our handmade bespoke replacement sash windows are made in our joinery workshop by highly skilled craftsmen who are passionate about giving your period windows the attention to detail they deserve. It is a sad state of affairs that around ¾ of the UK’s original box sash windows have been lost, either as a result of modern window replacements or because period buildings have been demolished. Here at Sash Window Experts, we pride ourselves on using our considerable craft skills and expertise to preserve as many of these beautiful historic windows as we can. In fact, the company was started with the sole aim of preserving period windows and doors. We now have a small team of highly skilled craftsmen working in our workshop who will expertly restore, renovate and draught proof sash windows. While our business always strives to deliver top quality work at very competitive prices, restoring original sash windows is more than just work to our dedicated team. Call it our contribution towards the protection and preservation of our great British heritage. 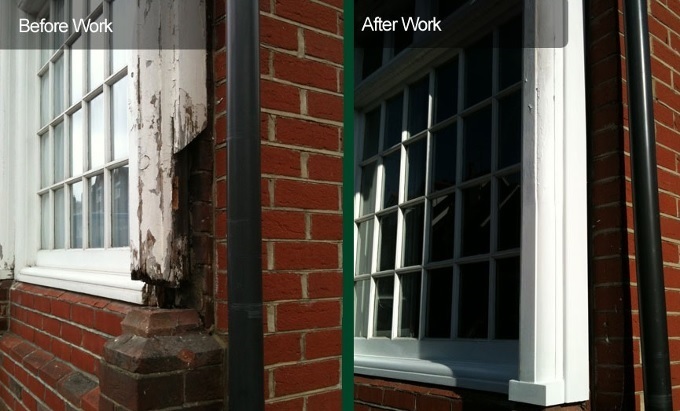 For more information about our sash window restoration services or to discuss your particular sash window problems with our specialist team, please call the Sash Window Experts workshop on 0800 197 0129, speak to Mark direct on his mobile on 07735 500535 or fill in the form on our Contact page to arrange a free no obligation window survey.